Bathtime anytime! 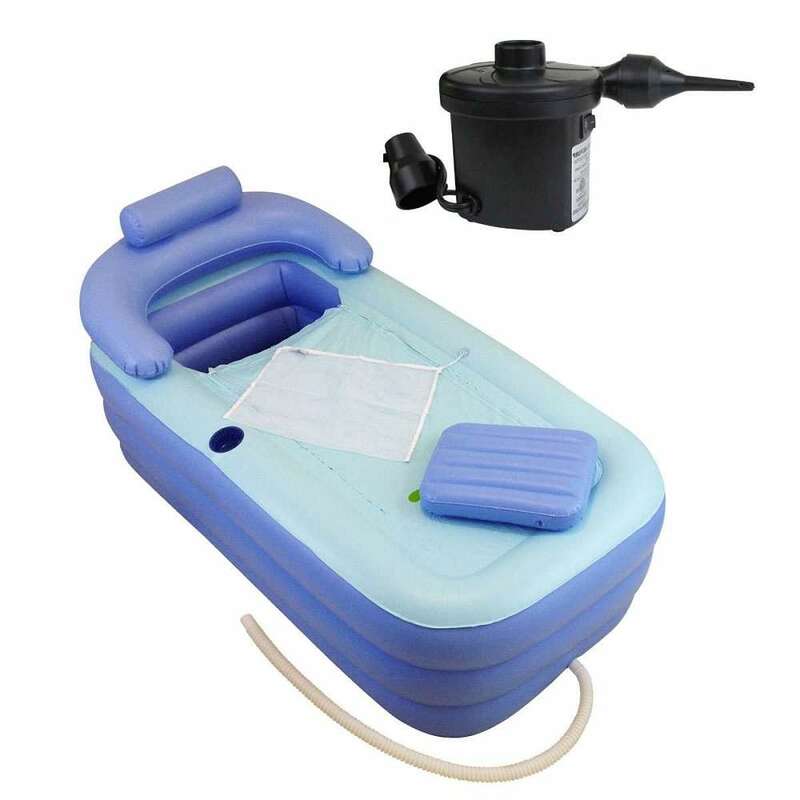 This portable inflatable bathtub fills up for sudsing up in front of the TV, outside the RV, even on the lake. Because, yes, it also floats. 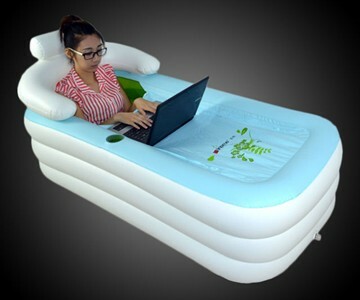 And with a zip-up top cover to keep the water warm, built-in cup holder to keep you hydrated, and an inflatable laptop stand to keep you occupied, once you settle in to this blow-up basin o' relaxation, not even comprehensive neck-down pruniness will be enough to drag you back out. 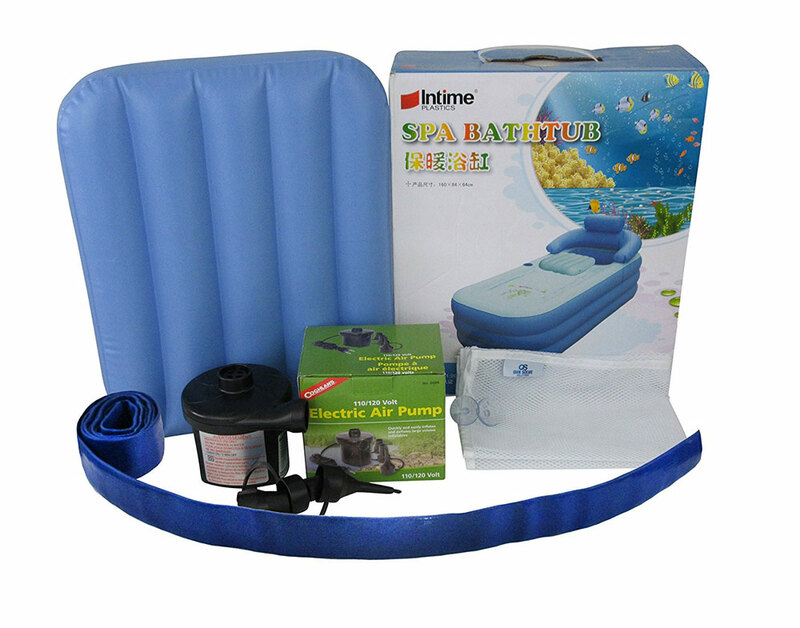 In other words, this is a portable inflatable bathtub, and it's kind of weird. People with injuries, nurses and caregivers who have trouble transporting patients up and down stairs to a proper tub, or athletes looking for a quick ice bath might actually find the tub invaluable in certain situations. And I'm serious about it floating on water, so if you live on a boat or want some attention for your novelty raft, I guess it could be a legit purchase in those cases too. 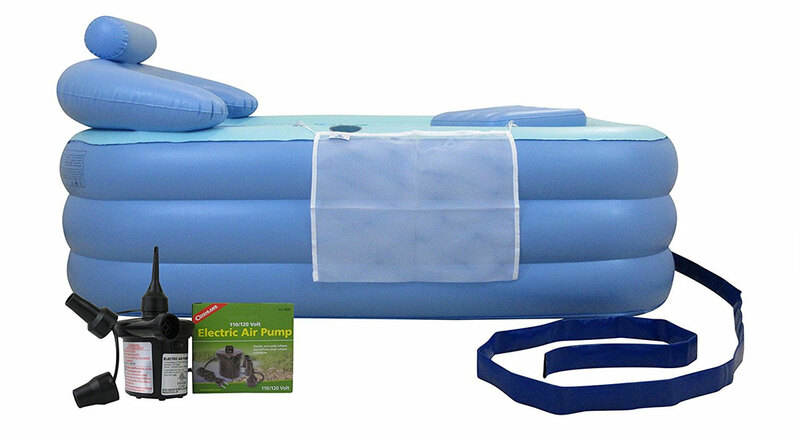 The inflatable bathtub package also includes a 4' accordion drain hose, a Coghlan's electric pump for fast inflation, and a Quik Solve bath net for quick drying and storage.